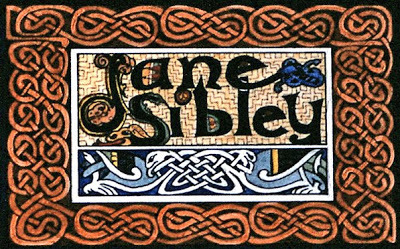 Who is Jane T. Sibley, and Auntie Arwen? And when did this spice business start? Auntie Arwen, known in the "real world" as Jane T. Sibley, has been a member of the Society for Creative Anachronism (SCA) ever since the first Pennsic held at Coopers' Lake. Actually, she joined right after Pennsic 5, which was in 1975. She started out selling tag sale items at Pennsic, and then graduated to crystals, tumble stones, crystal balls, and suchlike at science fiction cons as well as at SCA events. This was successful for many years, but when the crystal fad began to die out, she switched over to spice blends. Beginning with twelve blends, over the years the variety has increased to today's over 300 blends, as well as salts, peppercorns, and more. Along the way, she wrote "Norse Mythology...according to Uncle Einar", "The Hammer of the Smith", "The Divine Thunderbolt: Missile of the Gods", "A Different Dragon", and "The Way of the Wise: Traditional Norwegian Folk and Magic Medicine", the most detailed work of this nature in the English language. Auntie spent her college summers with her family on a yawl in Scandinavia, going from place to place as the whim took them. After getting her BA for the History of Art, at Russell Sage College, she spent a year at the University of Oslo, majoring in Norse mythology, runes, salvage folklore, and field techniques in folklore collection. After coming home, she got a job at Wesleyan University in the biology department followed by Yale University. Grants don't last forever, so when the last one died, she was able to complete her Ph.D. in History / Comparative Religion at La Salle University, build the spice business, and start writing. When the current book has been finished and the manuscript sent off to the publisher, she will start on the next one, and after that, yet another one. In between writing books she plans on getting back to another love that has been a part of her family history; painting. Auntie is not bored. Check the Calendar page to see when we are back in your area, or find a new event to attend. We try to find ones that fit for us, unfortunatly it takes us away from the small local ones. Also keep in touch with our travels, and occassional updates to the wares. Jane's early interest in Runes. Each jar returned with labels on will be .50 cents (or .25 cents for small) off your next purchase. Without labels will still be $1 (or .50 cents for small) off your next purchase. Plastic containers are not returnable.